This short tutorial introduces the steps to build sK1 0.9.3 from source code and install it on Ubuntu. sK1 is a prepress-oriented vector editor with CMYK feature, a free software similar to Inkscape. This tutorial is done on Ubuntu 16.10 Yakkety Yak and should be applicable to another versions as well (even for Linux Mint and Debian). 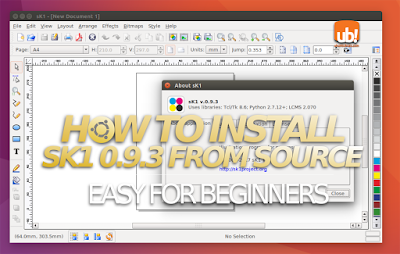 I write this tutorial because sK1 is not available on Ubuntu repo even until now. 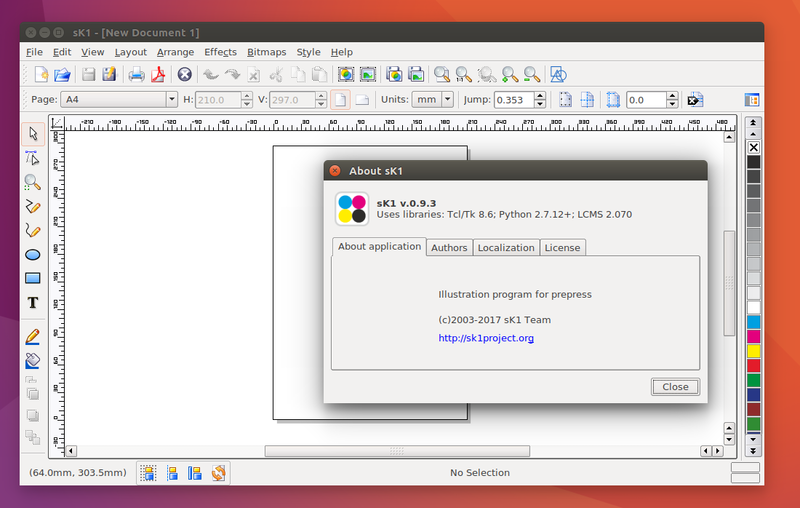 You will produce a .deb binary package of sK1 vector editor that is installable on your Ubuntu system. sK1 has two development history: first it's developed using Tcl/Tk (0.9.x) and then it's developed using wxWidgets (2.0). Although the 0.9.x version has been obsolete (not developed anymore) the 2.0 is still not complete. The 2.0 RC2 for example, lacks SVG import and export, while 0.9.3 has all default features. When I need to review sK1, currently I will use 0.9.3 instead of 2.0. If you want to help sK1 development, go to 2.0 development at GitHub. Download it from Sourceforge. Extract it on your $HOME directory. You can also download the source from its GitHub repo, it's just the same 0.9.3 version. 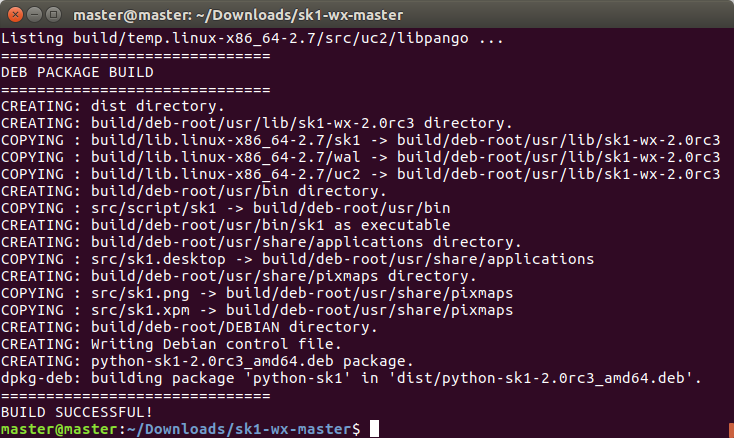 If the build is success, that means (1) the dependencies are all OK (2) you produced the .deb package successfully. Go to next step. If the build is failed, that means (1) the dependencies were not completely installed (2) you failed producing the .deb package. Back to step 2. Now go to menu and search for sK1. You should find it as an icon with 4 dots like a dice. Run it!